The U.S. Department of Energy Joint Genome Institute (DOE JGI), located in Walnut Creek, California, was created in 1997 to unite the expertise and resources in genome mapping, DNA sequencing, technology development, and information sciences pioneered at the DOE genome centers at Lawrence Berkeley National Laboratory (Berkeley Lab), Lawrence Livermore National Laboratory (LLNL) and Los Alamos National Laboratory (LANL). Today the DOE JGI staff is composed of employees from Berkeley Lab, LLNL and the HudsonAlpha Institue for Biotechnology. The DOE JGI also collaborates with other national labs such as Oak Ridge National Laboratory (ORNL) and Pacific Northwest National Laboratory (PNNL). Microorganisms such as those that thrive under extreme conditions such as high acidity, radiation and metal contamination are of particular interest to the DOE. Investigations by the DOE JGI and its partners are shedding light on the cellular machinery of microbes and how they can be harnessed to clean up contaminated soil or water, capture carbon from the atmosphere and produce potentially important sources of energy such as hydrogen and methane. 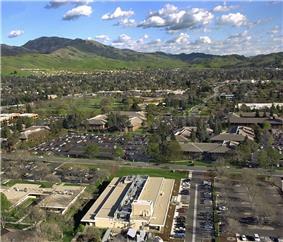 In 1999, the University of California, which manages the three national labs for the DOE, leased laboratory and office space in a light industrial park in Walnut Creek, California to consolidate genome research activities. Led by Eddy Rubin, M.D., Ph.D., the DOE JGI receives its funding from the Office of Biological and Environmental Research in DOE's Office of Science. Originally established to work on the Human Genome Project—the DOE JGI generated the complete sequences of Chromosomes 5, 16 and 19—the DOE JGI has since shifted its focus to the non-human components of the biosphere, particularly those relevant to the DOE's science mission. Since 2004, the DOE JGI has been a user facility that advances genomics research in a broad range of disciplines where DNA sequence information is likely to drive scientific discoveries. In February 2004, the DOE JGI launched the Community Sequencing Program (CSP), now known as the Community Science Program, which provides the scientific community at large with access to high-throughput, high-quality sequencing and analysis capabilities. The projects involve many important multicellular organisms, microbes and communities of microbes called metagenomes related to the DOE mission areas of bioenergy, understanding global cycles such as the carbon cycle, and biogeochemistry, and are chosen primarily based on scientific merit as determined by outside review. In 2006, the DOE JGI published the genome of the first tree sequenced—the cottonwood (Populus trichocarpa). In partnership with other federal institutions and universities, the DOE JGI has also published the genome sequences of sorghum; the microbial community in the termite hindgut, which could provide enzymes useful to biofuel production; microbes such as the bacteria Desulfovibrio that clean up sites contaminated with radioactive or toxic compounds; and algae involved in the global carbon cycle that are being used to track the effects of climate change in the oceans. In 2009, the DOE JGI reached a sequencing capacity milestone, generated more than a trillion bases generated annually. In 2011, the DOE JGI generated nearly 30 Terabases of sequence and in 2014, the DOE JGI generated more than 100 Tb of sequence. The DOE JGI makes the high-quality genome sequencing and analysis data generated freely available to the greater scientific community on its website and on public databases. The DOE JGI also supports programs dedicated to functional and evolutionary genomics related to the organisms and environments being sequenced and the development of computational and bioinformatic tools for data management and mining. These genome and metagenome analysis systems include Genome Portal, Phytozome, IMG and the Genomes OnLine Database.